I am not currently consulting due to my ongoing commitment to researching and writing in the field of animal health science and naturopathic animal care. I hope my eBook helps you to heal your dog naturally! All dogs deserve to have a high quality and happy life with no distressing symptoms or pain. My mission is to help dogs all around Australia & New Zealand achieve optimum health so they can live long & happy lives with glowing health! I am a well-qualified animal naturopath with an extensive scientific background and many years of clinical experience. This knowledge allows me to offer professional, science-based, naturopathic health advice for dogs as well as superior herbal medicines and nutrient supplements resulting in effective solutions for the canine health problems that I treat*. Online consultations are designed to offer you professional naturopathic health advice for your dog’s health problems so you can treat them safely, easily and effectively using high-quality naturopathic formulas. I can help you resolve the symptoms and causes of your dogs health problems and increase your dogs health naturally by using advanced herbal medicines and the correct high-grade nutrient supplements to support their body’s natural ability to heal illness and move towards health. I can also provide advice on a nutritionally-balanced natural diet for your dog’s individual requirements. When it comes to dogs health problems, my clinical interest is in dog allergies, dogs skin problems such as itching and hot spots on dogs, yeast infections, arthritis in dogs and other joint disorders, digestive conditions in dogs including inflammatory bowel disorders; recurrent ear infections and itchy ears in dogs, urinary tract infections, lowered immune function, the correct diet for dogs including the right puppy food, dogs health problems that may be causing pain in dogs and other dogs symptoms and dogs disorders that can be treated successfully with herbal medicines, other alternative medicine and the correct natural remedies for dogs with the approval of a veterinarian. * Treatment advice will only be provided with the approval of your veterinarian. We offer an online consulting service where you can have your dogs health assessed by Sara and treatment recommendations will be provided to you for the best naturopathic solutions for your dogs health problems. We also offer high-quality herbal medicines for dogs, nutrient supplements and other remedies for dogs that are simple for dogs to take and can be delivered to your home or business. We offer a naturopathic approach to dogs health problems and can assist you with many problems that often occur in pets. This includes dogs skin problems including itching and hot spots on dogs, arthritis in pets, dog allergies, ear infections including itchy ears in dogs, digestive conditions in pets, the correct diet for dogs including the right puppy food, disorders that may result in pain in dogs and other dogs symptoms and dogs disorders that can be treated safely and effectively with alternative medicine including herbal medicines, nutrient supplements and other remedies for dogs. We find that most dog disorders respond very well to naturopathic treatments for dogs such as correctly prescribed nutrient supplements and high-quality herbal medicines and usually avoid the need for invasive treatments and potentially harmful veterinary medications. Sara is also the author of the cutting-edge ebook on dog health “Heal Your Dog Naturally” which covers the causes of dogs health problems and provides information on simple, safe and effective naturopathic health solutions for your much-loved pet. Let a well-qualified and experienced Dog Healer, Health Scientist and Dog Naturopath treat your dogs health problems naturally, so they can live life to the fullest and enjoy a long, happy and healthy life without pain and suffering. Reverse Agonizing Conditions Such As Inflamed Skin Problems in Your Dog, Joint Pain in Pets, Digestive Conditions, Dog Allergies, Ear Infections And Many Other Dogs Symptoms and Dogs Health Problems That Can Cause Pain in Dogs and Result In Suffering. Our naturopathic approach to animal health services may differ from traditional veterinary services in a number of ways. Our holistic pet care approach complements vet services. The focus of an animal naturopath is on treating the underlying causes of pets health disorders and allowing the animals own body to repair and heal illnesses such as skin conditions, digestive problems, infections and cancer. Natural animal therapy may include herbal medicine for dogs, animal homoeopathy, natural canine diet, nutrition programs for animals and natural therapies for dogs that are commonly used for humans such as herbal medicines and nutrient supplements. An animal naturopath complements the services provided by your existing vet. 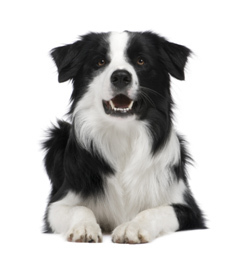 We provide natural and holistic canine health care to help improve your dogs health. Common conditions treated with natural animal health treatments include canine arthritis for pain in dogs and inflammation, dogs skin problems including hot spots on dogs, itching and yeast infections, dog allergies, digestive conditions in dogs, ear infections in pets including itchy ears in dogs, and many other dogs symptoms and dogs disorders. Natural worming programs and advice regarding the correct diet for dogs and the right puppy food is also offered. Consulting an animal naturopath may help you to treat your dog safely, rapidly and effectively. Preventative animal health care is also offered and you may reduce vet service bills as well as improving your dog’s health and wellbeing. We supplement dog veterinarian services with a range of alternative medicines and natural animal therapies for dogs. We advocate a holistic approach to dog care with a focus on canine diet and preventative animal health programs. We provide natural remedies for dog digestive and skin problems and canine arthritis and infections are also common conditions that may be successfully treated with natural animal therapies. These may complement or replace conventional vet treatments. Our natural canine health programs work in tandem with vet services to provide a holistic canine health solution. Canine nutrition is central to this natural animal health approach. When veterinarian treatments have not worked, natural remedies may prove to be more effective when prescribed by a qualified animal naturopath. The information on this website is not a substitute for veterinary treatment and if you are seeking a diagnosis for your pet, please consult a veterinarian. In the case of an emergency, seek veterinary advice urgently.